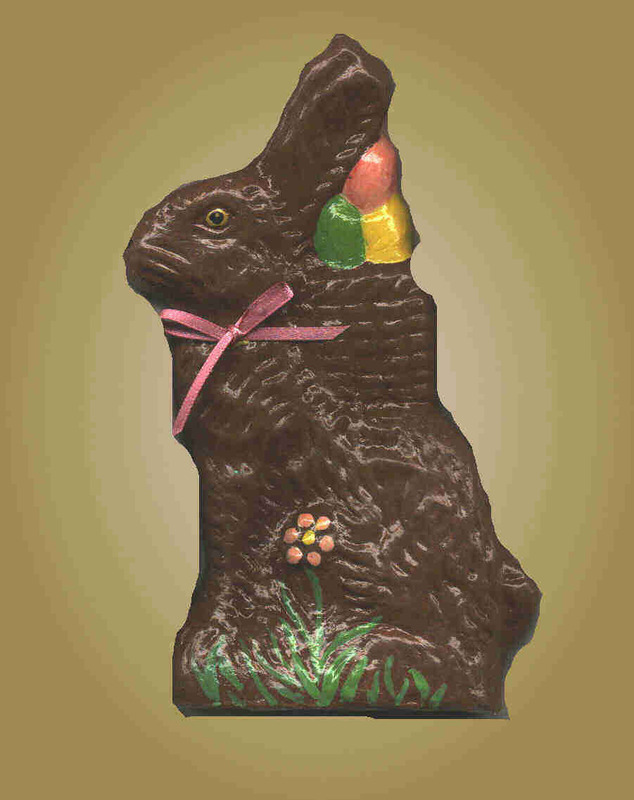 I created this scrumpdiddlyumptious Easter bunny using an antique chocolate mould from my own collection. I painted him in glossy shades to replicate homemade chocolate. This fella is approximately 6 1/2" tall. He is sturdy and solid, topped off with a satin ribbon. The perfect solution for your sweet tooth! How yummy! Click here to view the website in its entirety.